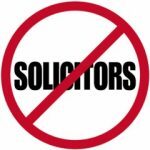 Why Do You Need A Solicitor For Your Personal Injury Claim? Accidents can have devastating consequences, especially if your injuries are severe. If you claim compensation for your injuries, you will find that many insurance companies will encourage you to settle your personal injury claim with them directly.